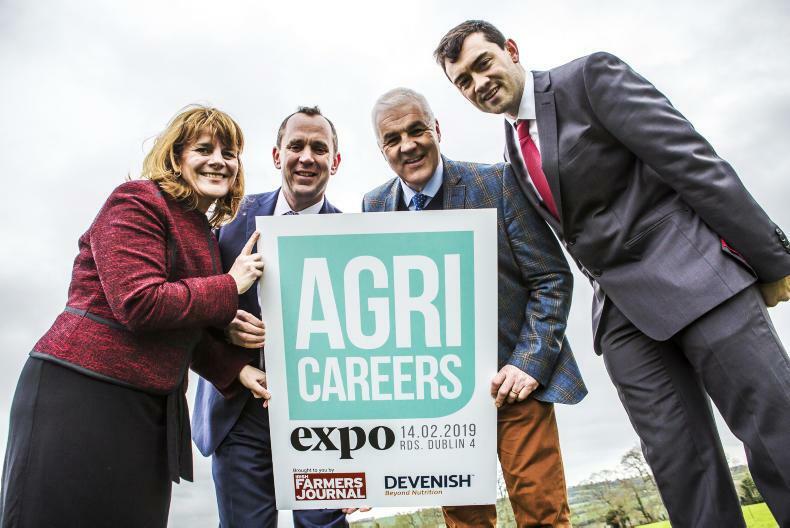 Lorcan Roche Kelly will speak with Lorcan Allen of the Irish Farmers Journal on the Career Development Hub at the Agri Careers Expo. What was your career path before you ended up in Bloomberg? It was very varied. I worked in manufacturing before switching to mining. I did that for a few years before a change of circumstances meant I had to spend more time at home. That was around 2008, when the global financial crisis was in full swing, so I decided to try and find out some more about that as I was ‘time rich’. I began a blog about what was happening in Irish banks – more as a hobby than anything else – which started to be picked up by journalists. This led to a job offer from a US financial company. That job involved spending a week per month in the US, so when Bloomberg offered me my current position, which I could do full time from home, I jumped at the chance. When did you start in Bloomberg and in what position? I started with Bloomberg in February 2015 as editor for the markets section on bloomberg.com, while also running some social media channels. I get to work around 7am, I catch up on emails and dial into some morning calls to make sure I am up to speed on the news that is likely to move the financial market for the day. Much of my time during the day is spent finding and creating content for the website and social media. I write a consumer-facing email for the US market that is sent out at 11.30am. US markets open at 2.30pm and I generally hand over to the US team in mid- to late-afternoon. You live in rural Ireland and had a suckler farm up until last October, what was the appeal of two such contrasting lifestyles? I think one balances the other. It is hard to be concerned about the rate of grass growth when you’re writing about oil prices, and likewise, it is hard to care about the stock market when you have a heifer calving. The contrast is so large, it makes it easier to switch each one off when you go to the other, so you end up almost never taking work anywhere with you. You got out of suckler farming last October. Why? I had a small herd of about 30 Angus cows. I had to get rid of them as the prices the weanlings were making at six months meant the farm just wasn’t making any money. It was a very difficult decision to make, and I wouldn’t rule out going back into cattle if circumstances change. Lorcan Roche Kelly will speak with Lorcan Allen of the Irish Farmers Journal on the Career Development Hub at the Agri Careers Expo. They will discuss working for an international company in rural Ireland, its challenges and its advantages. To register for free for the event, visit agricareers.ie.